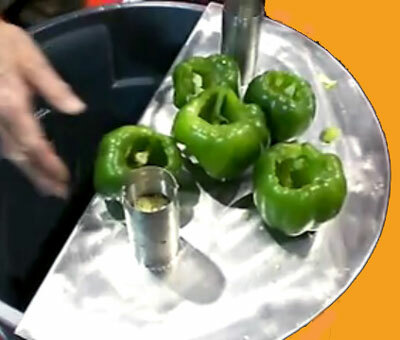 Our NEW manual pepper corer is an easy and simple way to CORE and SEED peppers. 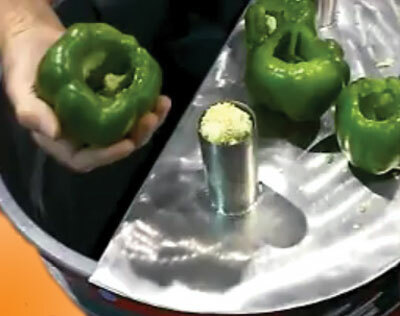 Place Pepper Corer over a standard size brute container; push down and twist; core and seeds waste drop through the corer tube into brute. The two (2) Corer Blades enables user to work twice as fast. The stainless steel core cylinder measures 2”D. Custom sizing is available.